Tonight I had a wonderful dinner at Maria’s place. 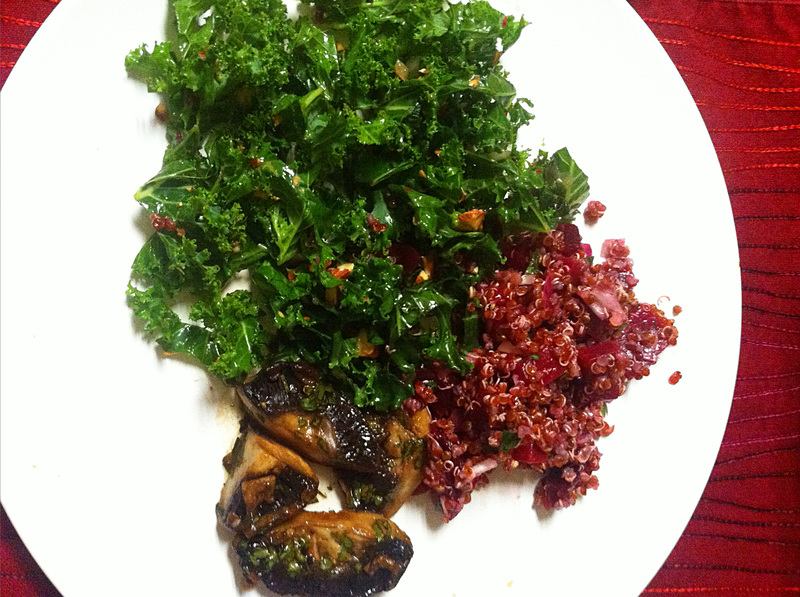 She made oven roasted portabello mushrooms, fresh kale salad with cranberries and roasted almonds, red quinoa beet salad and oven roasted small potatoes (last is not shown on the picture). It was a super healthy and really tasty meal. I will make this myself again or invite myself over for dinner next week.